The Woodlands Art League has been created to give local artists the chance to get their works on public display within the community. With a series of different exhibitions throughout the year, this is going to be the perfect place not only for art lovers in general, but those that simply want to check out the talent that is on their very own doorstep. Originally created in 1981, the league was formed by a handful of local artists that decided to band together to help one another. The league itself grew rapidly with it having over 100 different artists by 1984 and partnerships with The Woodlands Corporation and various local spots helped to increase the visibility of the league and the work that its members were able to produce. Their aim is simply to bring art to the people and to provide a platform for those that are trying to make their name as an artist. Encouraging use of different materials, the league is there to allow artists to help one another creating a friendly environment for all that are involved. Artwork from members is visible in different locations across the area along with their own art gallery in Studio in the Woods. Aside from exhibitions, there are also various art classes being made available to people of all ages and skills as well as providing working space for the artists that form part of the league. With over 400 members now, there is always some brand new piece being created with it covering all kinds of art meaning there will be something that fits in with your own personal tastes, no matter what they may be. 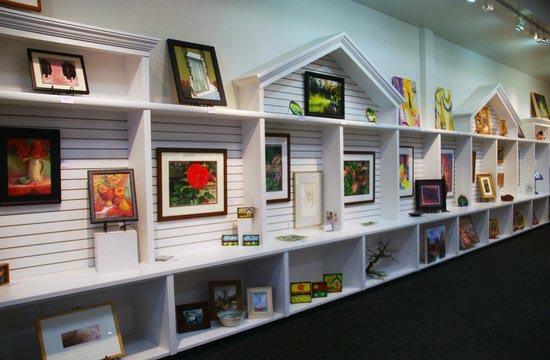 The Woodlands Art League is well worth checking out, so do pay close attention for their exhibitions and workshops that occur throughout the year. The beauty of this league is in simply not knowing what is going to happen next and with you having the opportunity to also explore your own artistic talents, then you can just allow your creative side to be free and see where it takes you.